Learn to restore a canvas canoe in this day-long course. Stretching, sealing and priming the canvas will be covered with explanation of different tools, methods and materials. 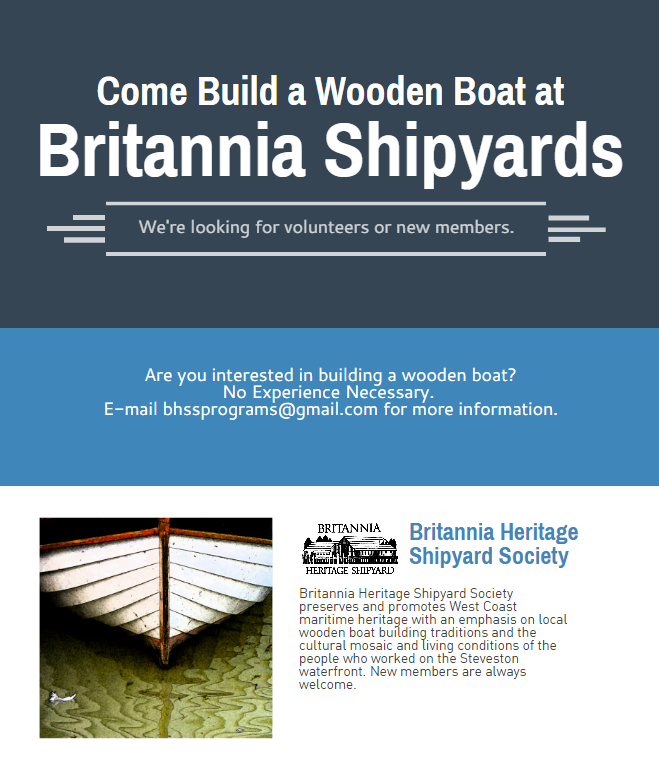 To register, call 604-238-8050 or go to the Visitor's Centre at Britannia Shipyards National Historic Site. Barcode #1817838. Join expert Henk Suys and bring a dull tool to this session to learn some hands-on sharpening skills. Please feel free to invite friends and family to this demonstration, all are welcome.